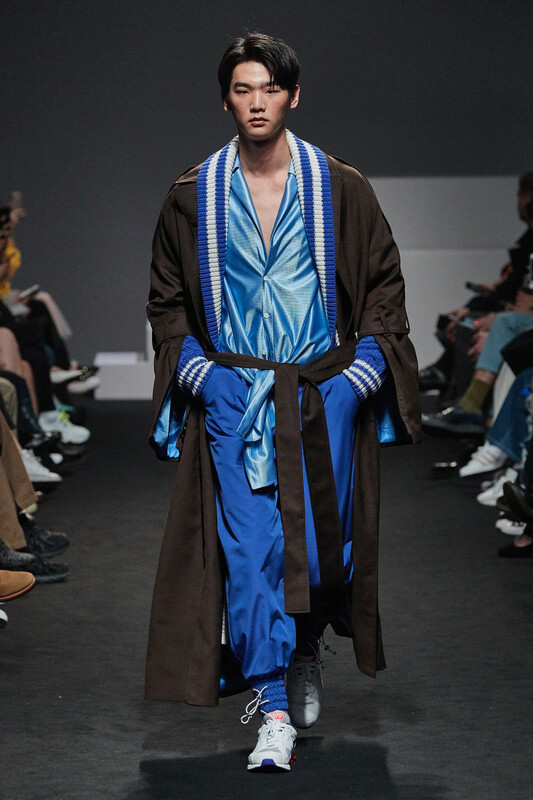 In the Chosun Dynasty, the term Han-lyang(한량,閑良) was used to describe a ruling class that enjoyed eating and living well – the good prodigal life without working in an official government position. 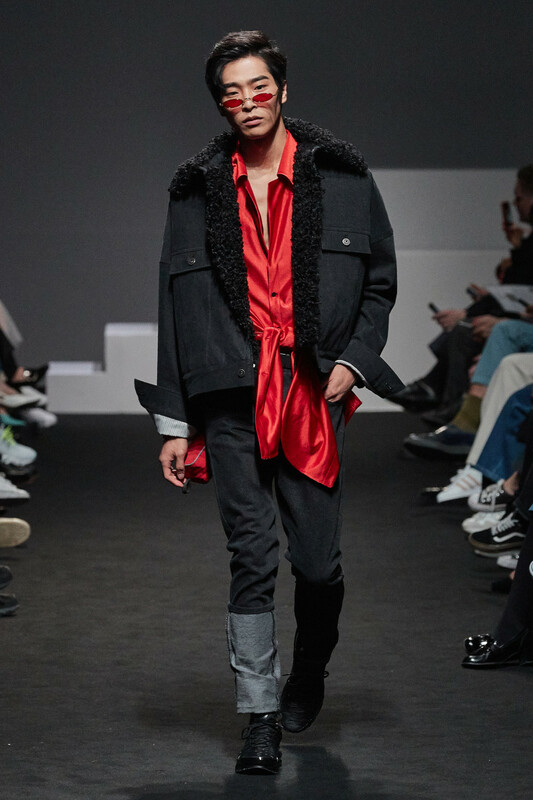 While the term originally had a negative meaning, in an ironic twist, many young people in today's modern society find themselves desiring the free-spirited lifestyle of the Han-lyang. 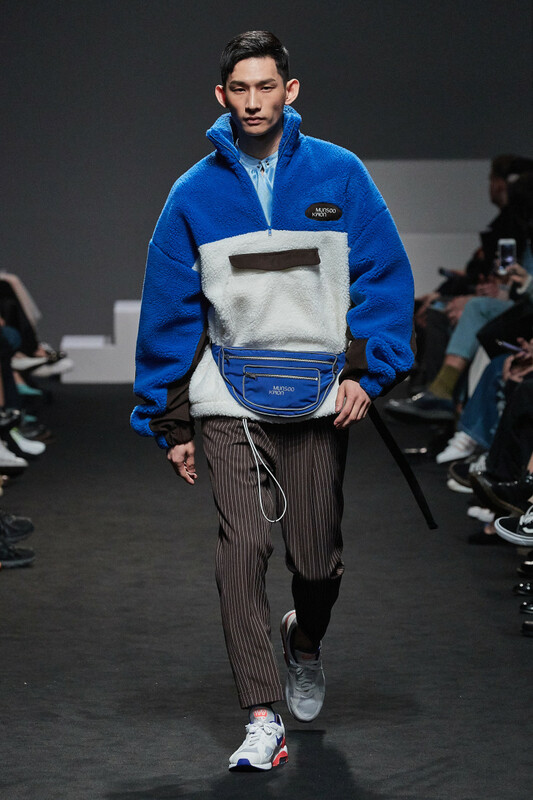 Perhaps it is only natural for the youth to seek after a lifestyle that takes away the burden and expectations of the society. 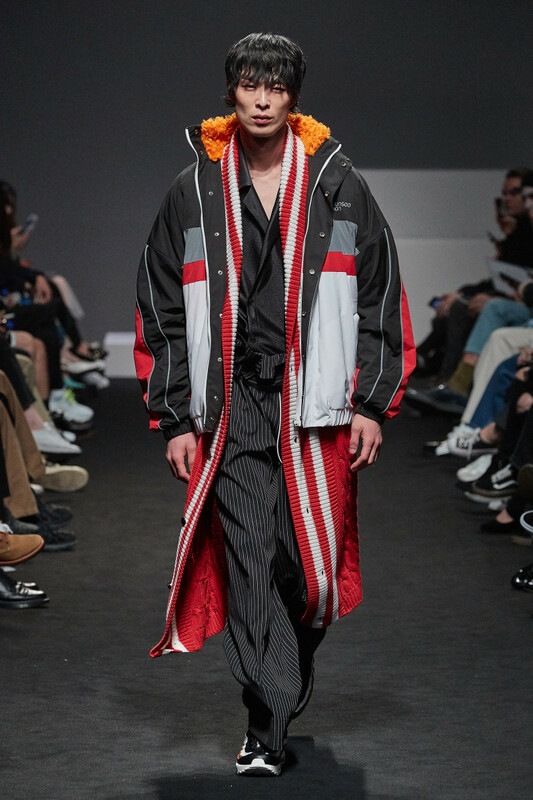 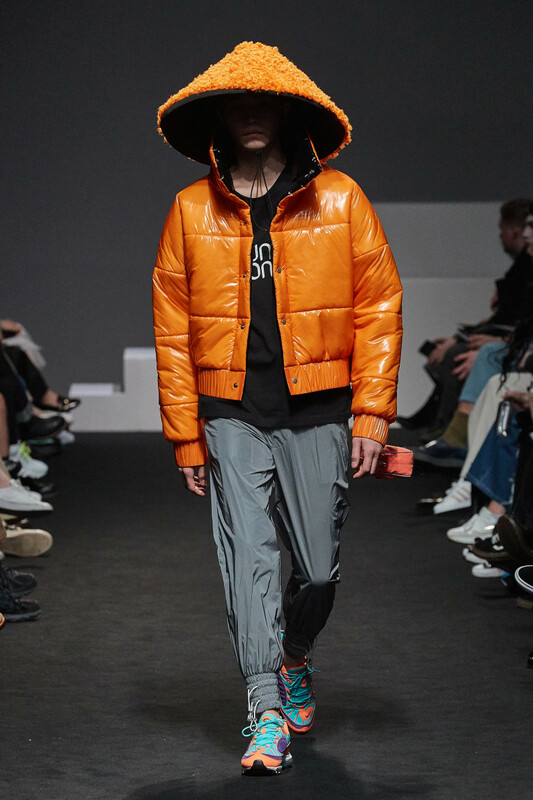 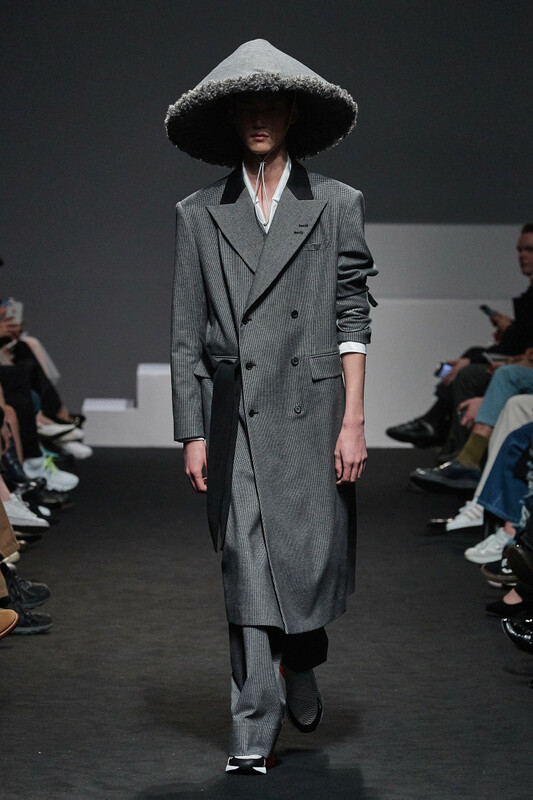 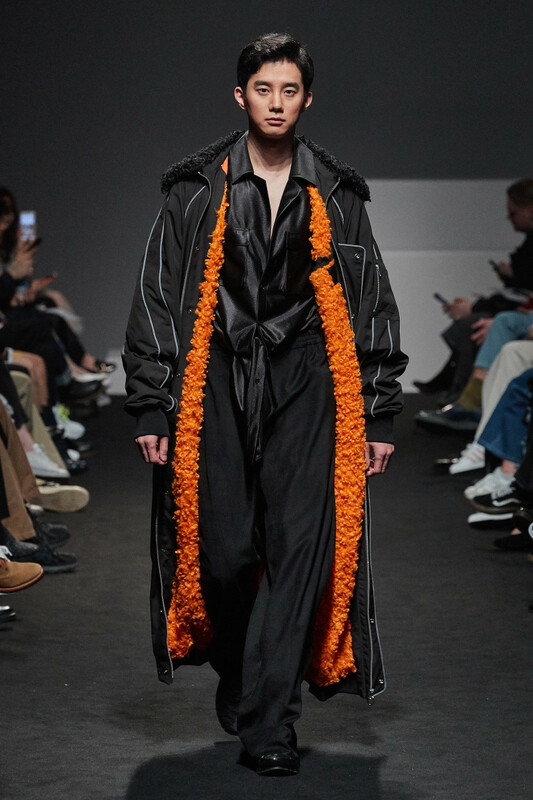 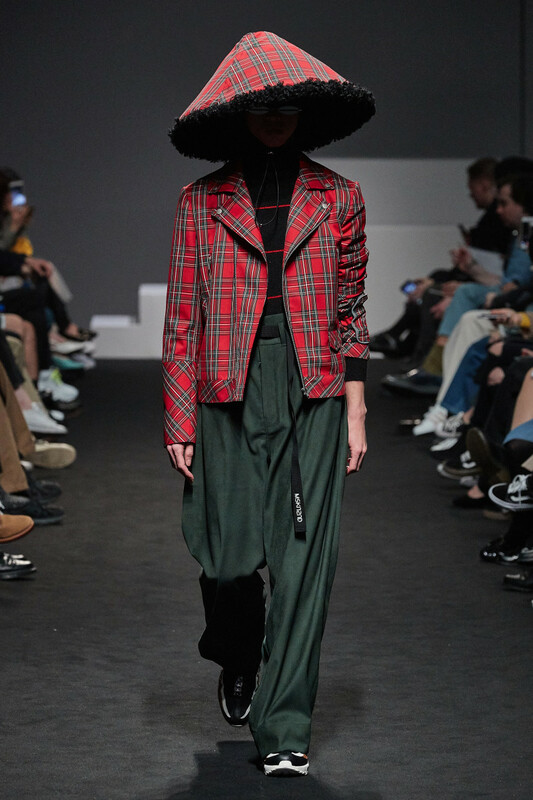 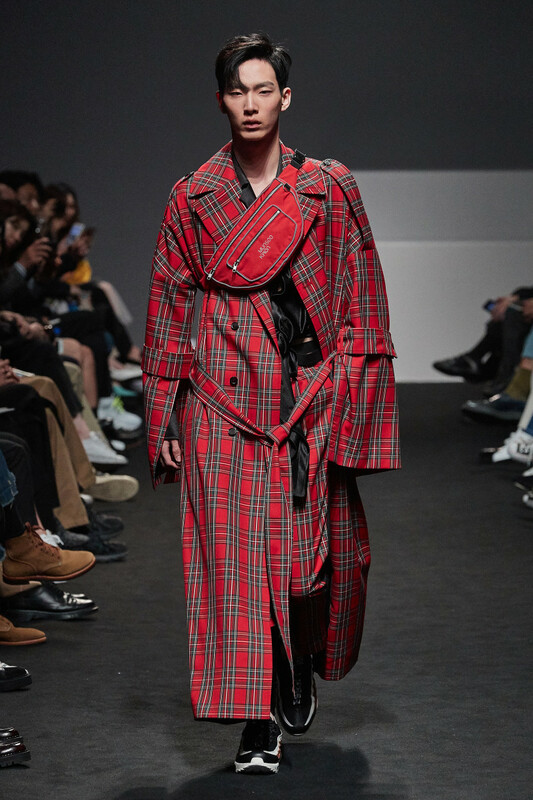 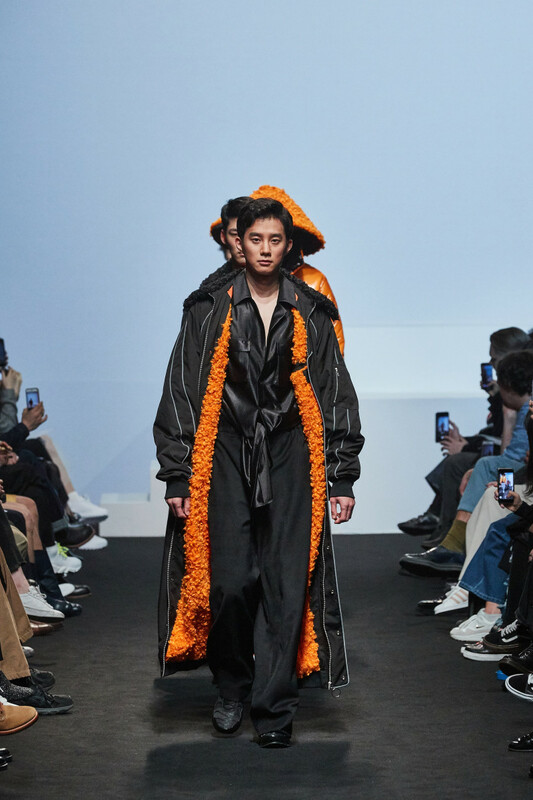 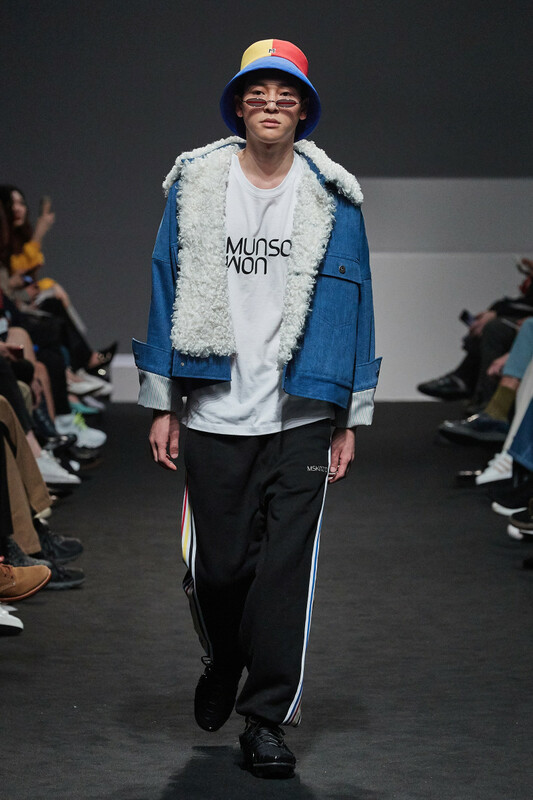 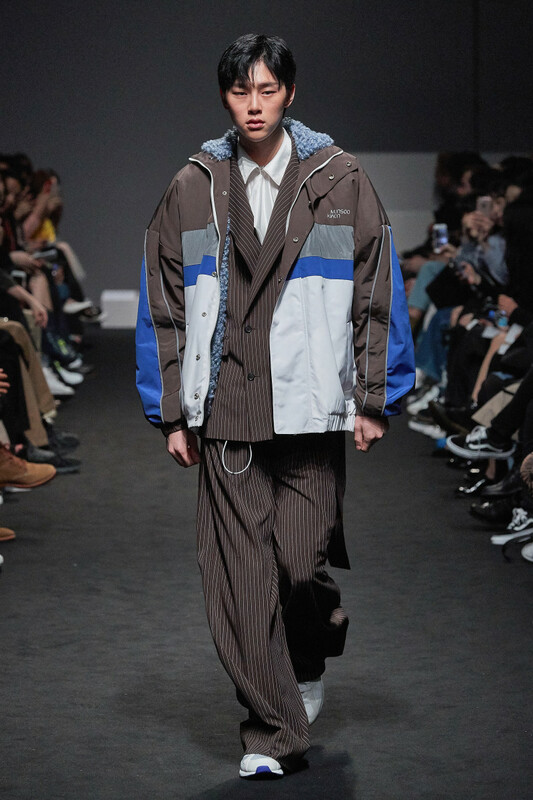 Munsoo Kwon's 2018 Fall/Winter Collection rediscovers the idea of the Han-lyang as modern style icons using mesmerizing concepts in fashion. 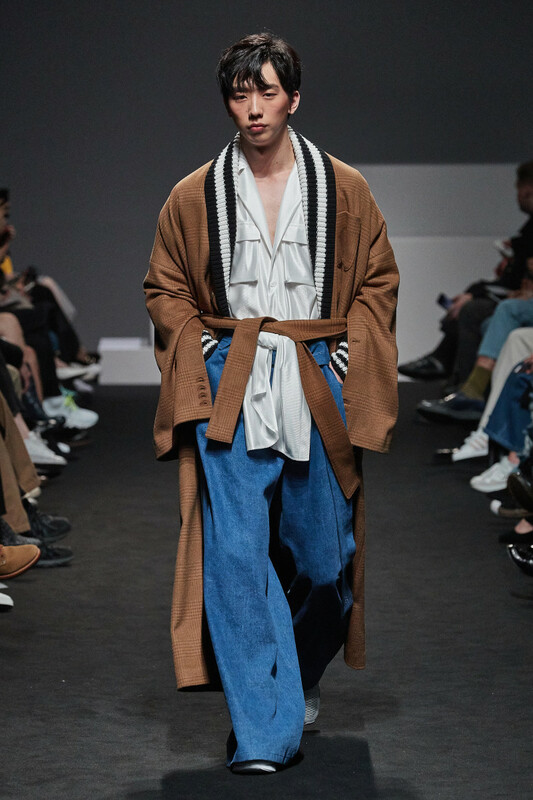 In this collection, the Han-lyang are portrayed as fashionable influencers through 30 stunning head-to-toe looks. 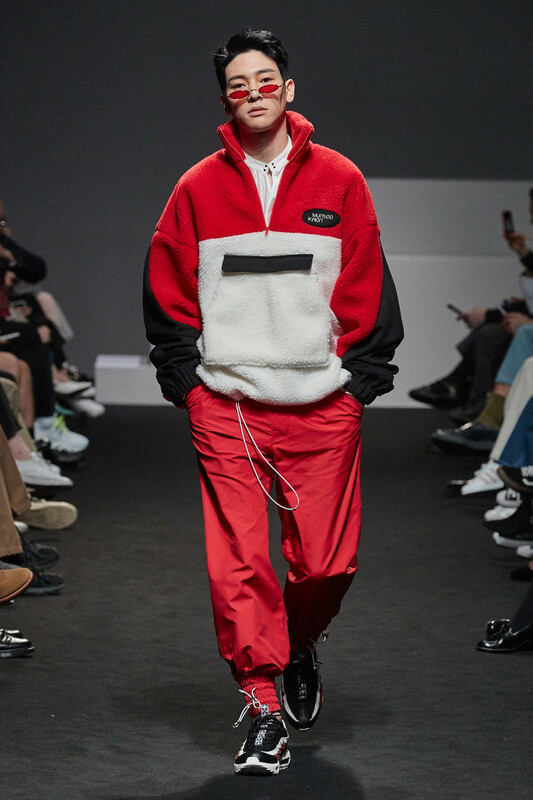 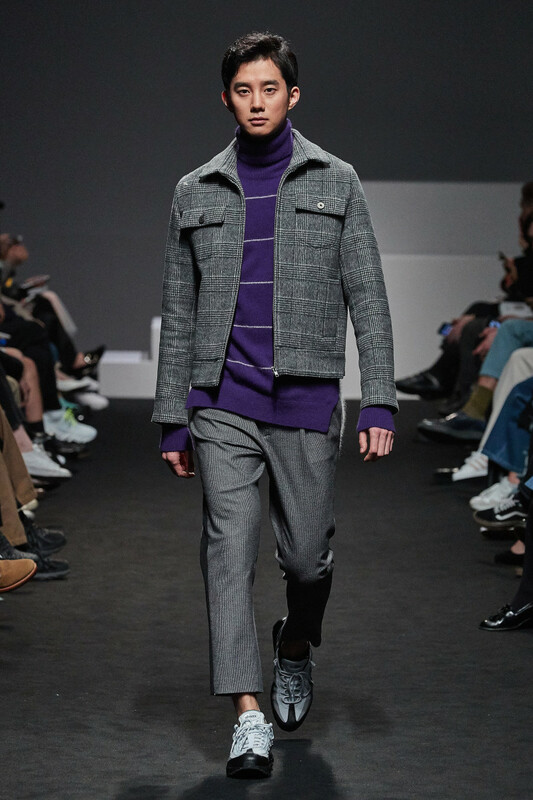 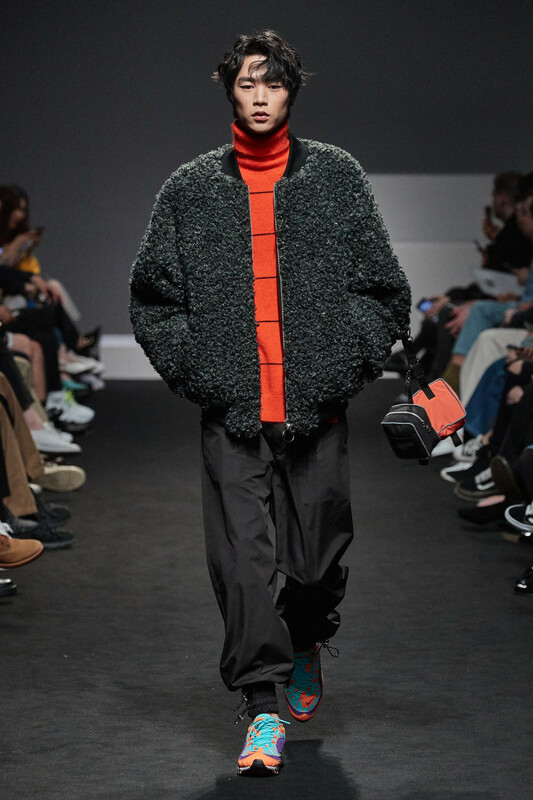 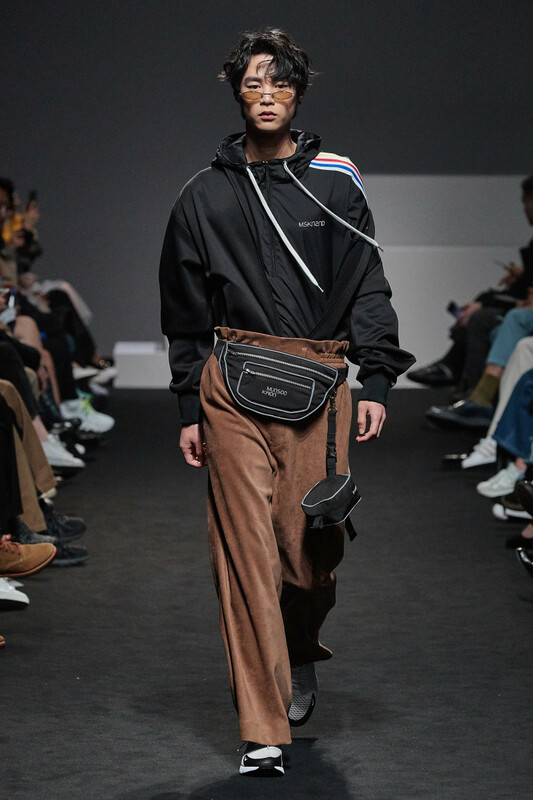 An outdoor-style jumper designed with 3M reflective fabric, comfy tracksuits, reversible coats with eco-shearing inside and out, shell jumpers with extra volume, and practical accessories like fanny packs are some of the pieces that express the essence of the collection well. 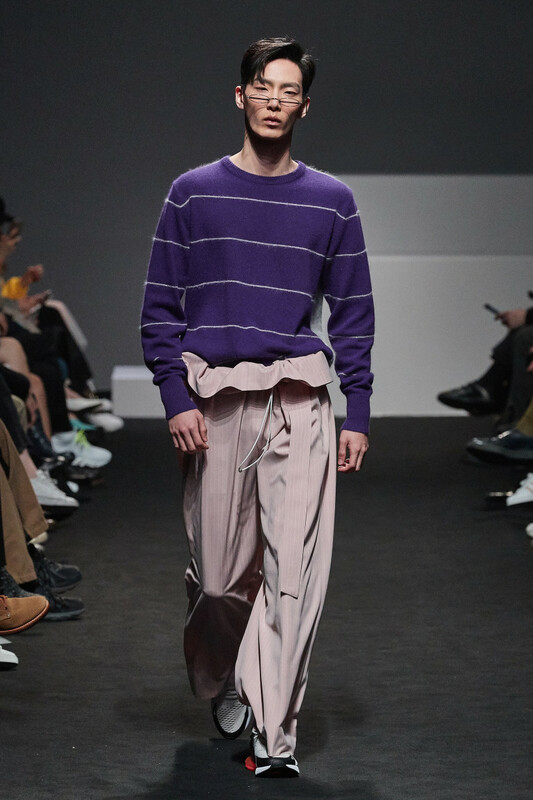 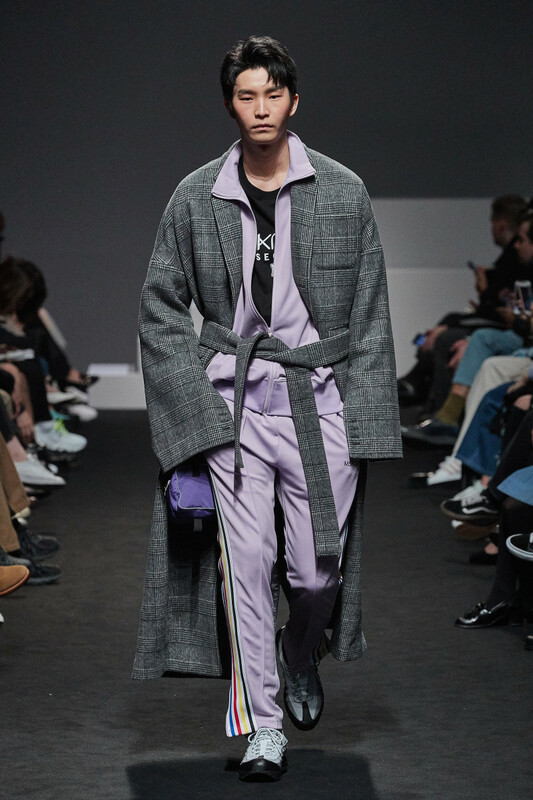 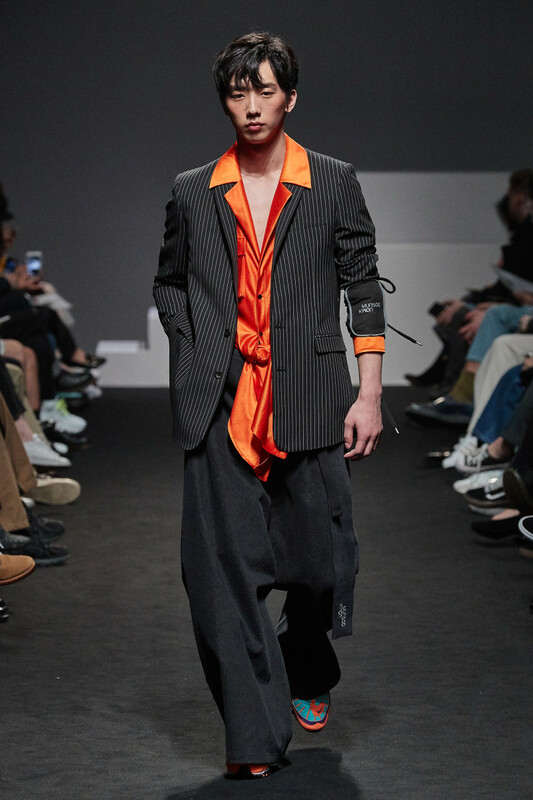 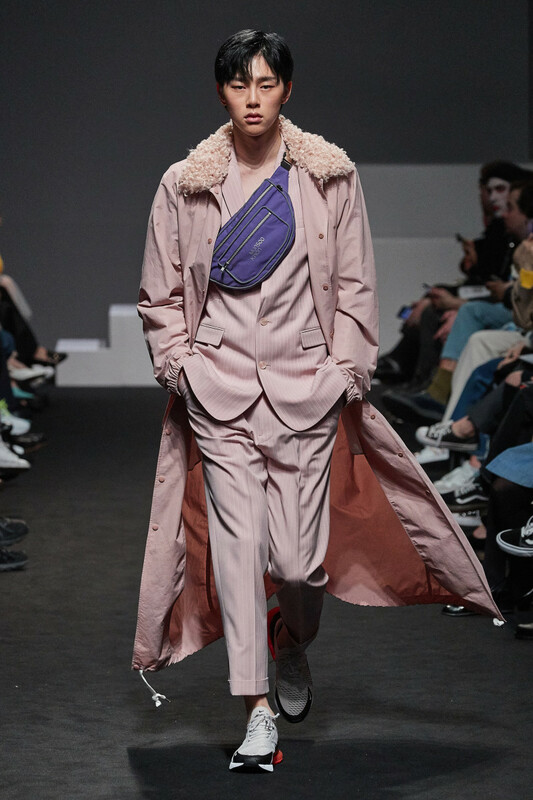 An interesting mix and match of bold fabrics and original designs are used including wide-leg twill pants with brushed suede and polished dazzle-fabric shirts inspired by the Han-lyang's traditional Korean dancing costumes. 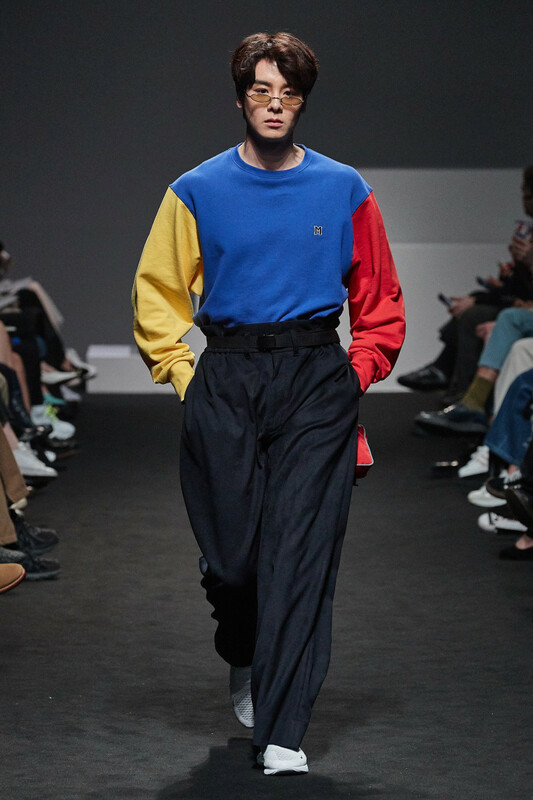 Together, they paint a colorful story that pairs street moods with traditional aesthetics, and casual sportiness with impeccable tailoring. 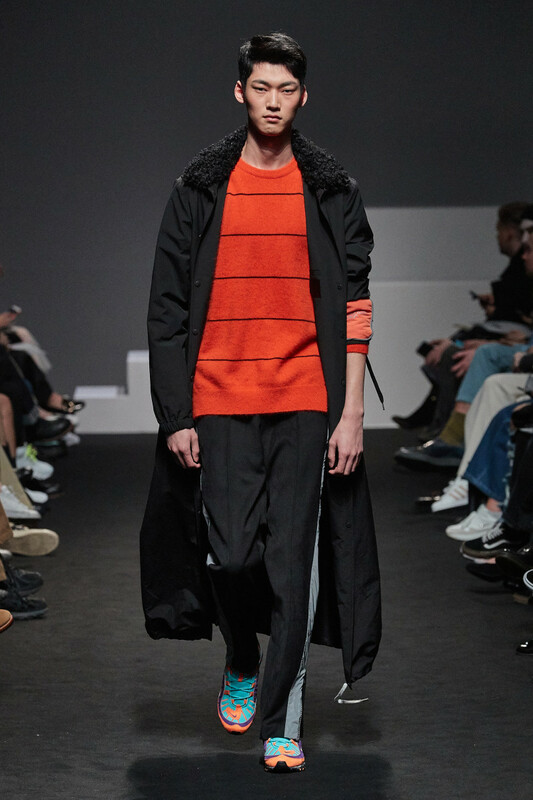 The knitwear was inspired by the complex beauty of the genre paintings from the same era. 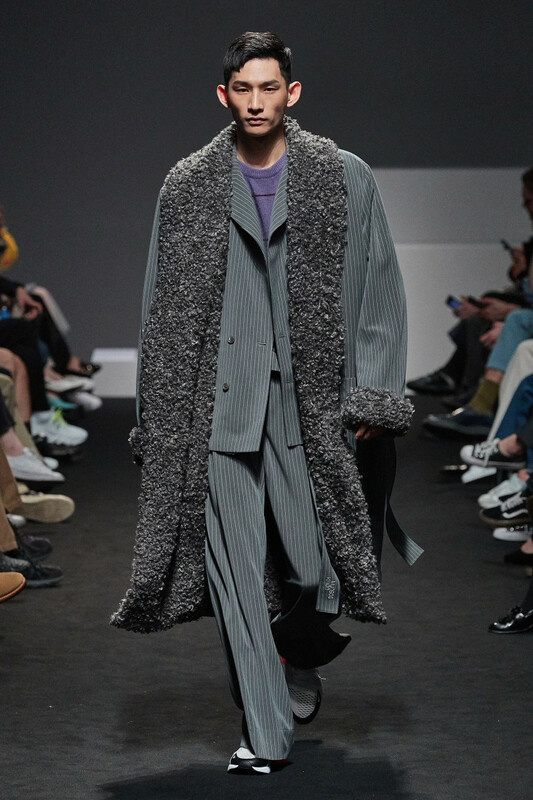 Oversized v-neck cardigans resemble the simple lines of the ink-wash paintings while slim-fit mohair pullovers resemble soft paint brush strokes. 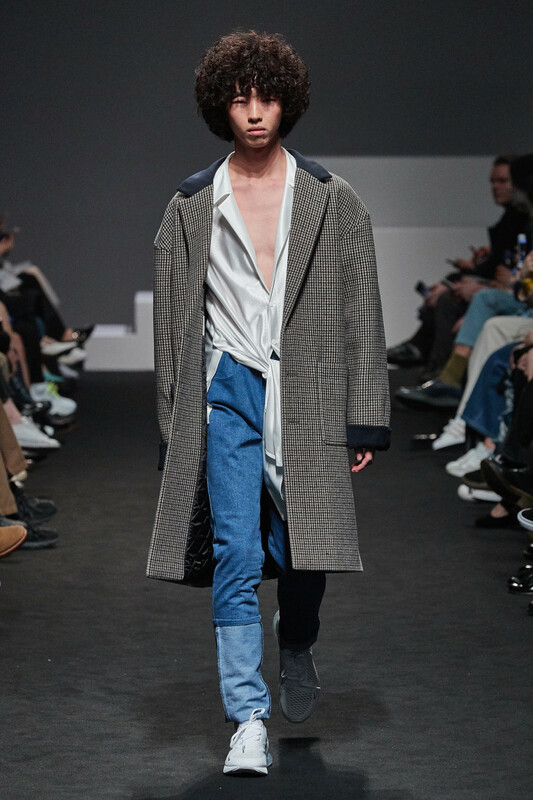 And of course, the designer's signature shawl-collared-long cardigan are reintroduced in new colors of the season. 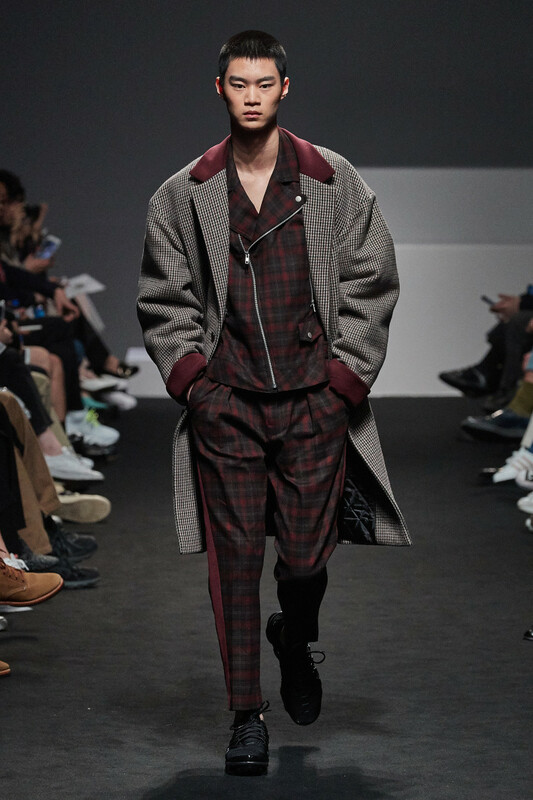 Subtle winter colors like brown, beige, camel, burgundy, and pink are blended with black, grey and white, and checkered patterns and stripes. 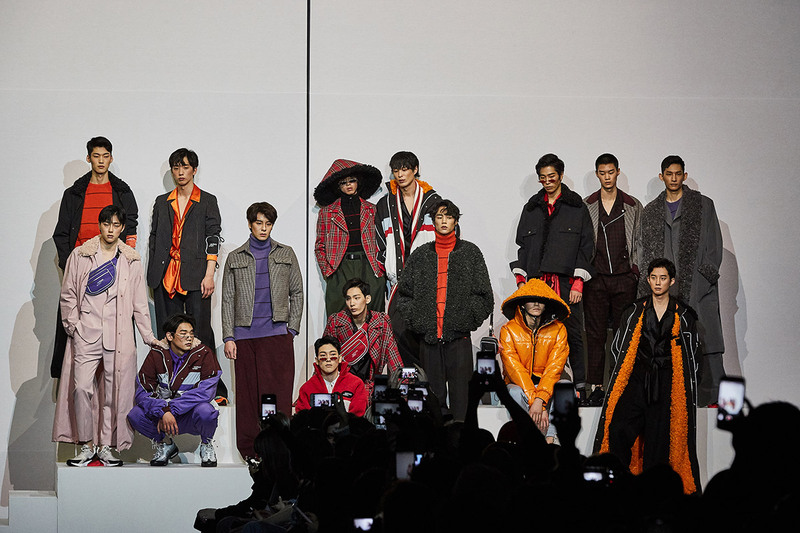 Pieces and details in bright colors of red, blue, ultra violet and orange add a extra oomph to the entire collection. 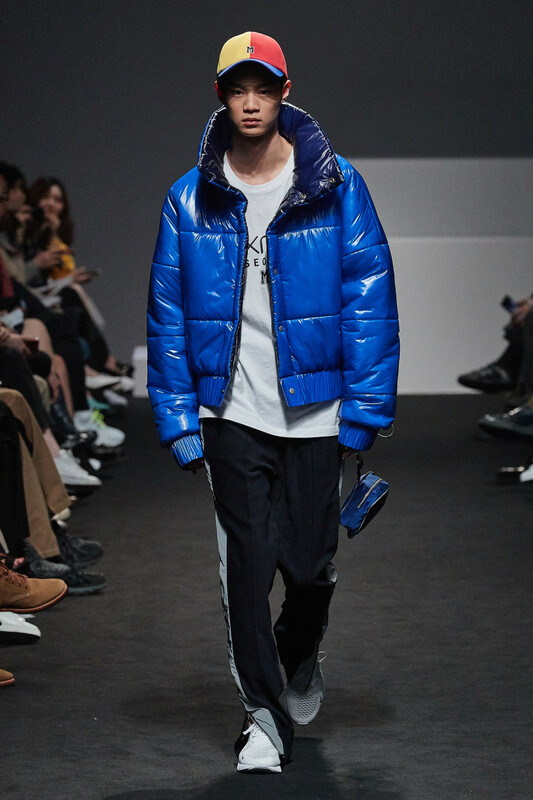 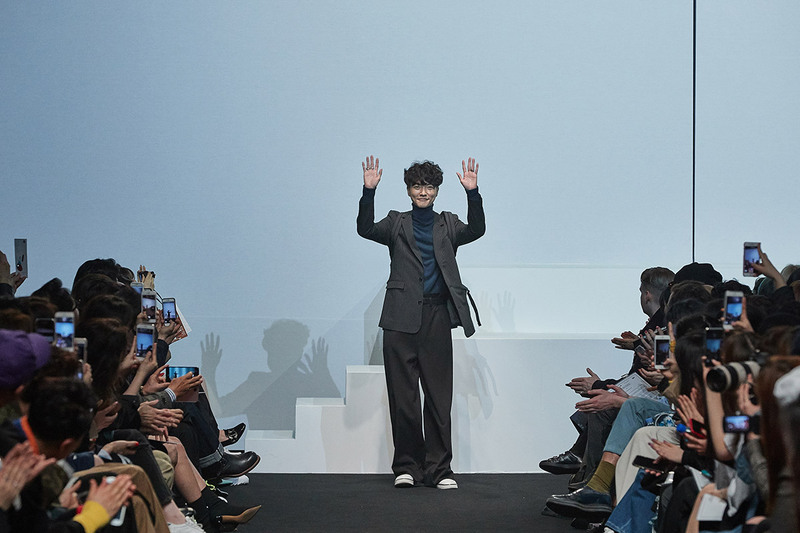 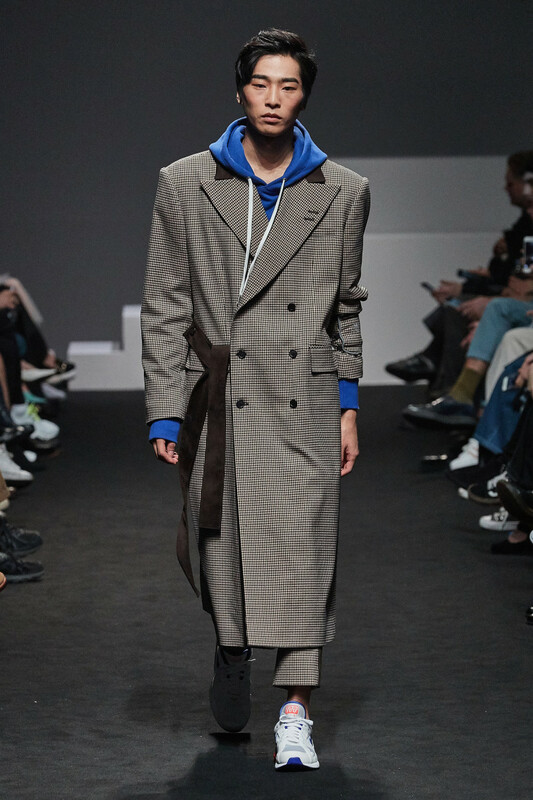 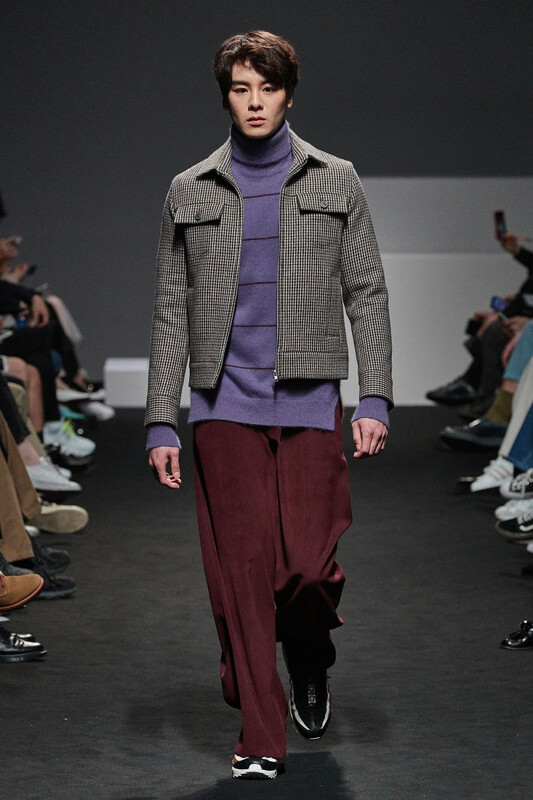 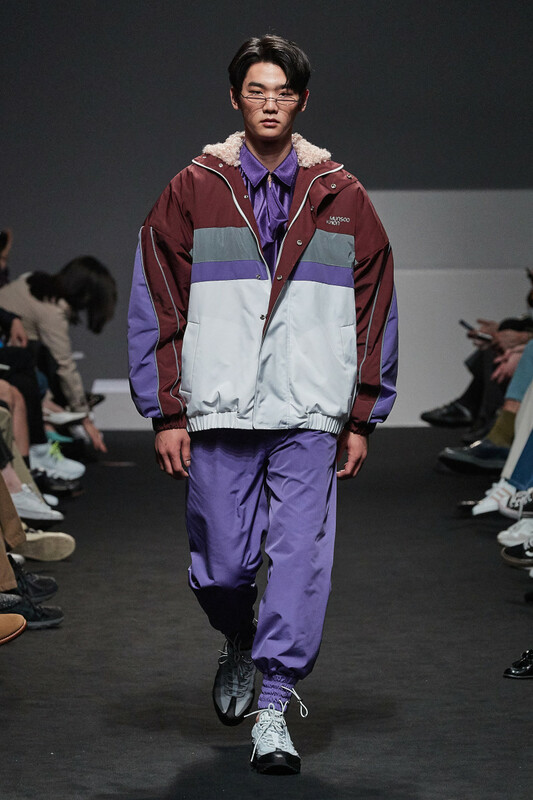 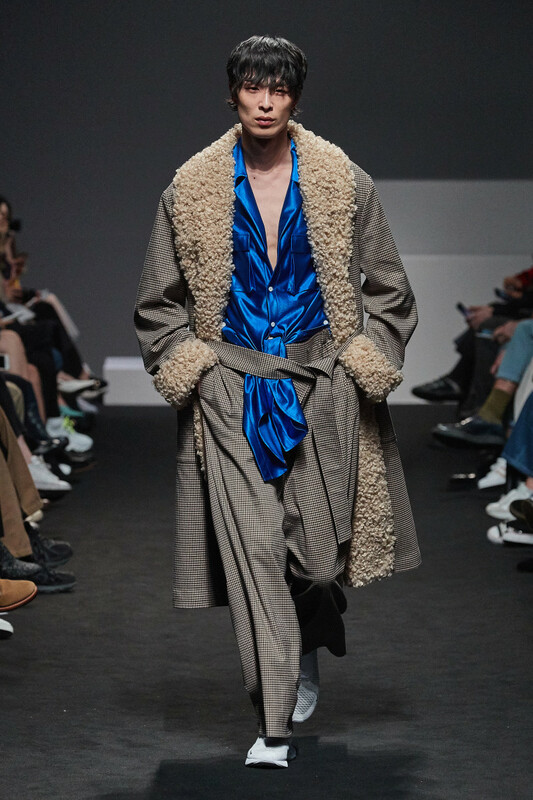 Experience the old days of the Han-lyang's relaxed way of living with stories Munsoo Kwon tells through his 2018 Fall/Winter Collection.